The last Headmaster? The Hasbro Transformers Generations Titans Return Slugslinger is the last new release in the final wave of Titans Return deluxe toys. So read on, and come back tomorrow for more! He might save you money on travel! 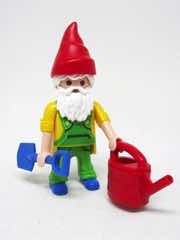 The Playmobil "Fi?ures" Figures Gnome has a shovel and a watering can, but no flowers. So read on, and come back tomorrow for more! 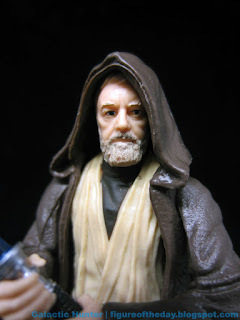 Via the Star Wars Galactic Hunter Figure of the Day Blog: Obi-Wan Kenobi (The Last Jedi Line Look). This is the first old trilogy-specific new 3 3/4-inch figure in quite some time. Read the whole review. 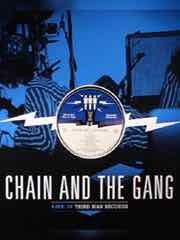 I just found out that after "Best of Crime Rock" a couple of months ago and "Experimental Music" last week, Chain and the Gang also released Live at Third Main Records at some point in the last few weeks. On top of this front man Ian Svenonious is also releasing "Escape-Ism" this year. The live record doesn't seem available from Third Man yet, but I saw it on Discogs, Amazon, and elsewhere for $12-$13. The song listing is pretty close to "Best of Crime Rock." It's missing "Nuff Said" and "Deathbead Confession,"
Glow! The Bit Figs Mega Bit Spectre Pheyden is big and great, and I hope you got one. So read on, and come back tomorrow for more! 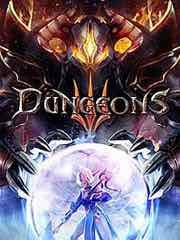 New to the Playstation 4 this week: Batman: The Enemy Within, Battle Chasers: Nightwar, Battle Garegga Rev.2016, Detention, Dragon�s Dogma: Dark Arisen, Expand, The Hunter: Call of the Wild, Jydge, Mystik Belle, Twin Robots, and WRC 7. New to the PSP Vita this week: 36 Fragments of Midnight, Burly Men at Sea, Mecho Tales, Twin Robots, and Save the Ninja Clan. Glowing fun! 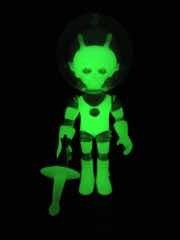 The Outer Space Men Cosmic Radiation Alpha 7 Action Figure is finally here, and you hopefully ordered yours because it's pretty great. So read on, and come back tomorrow for more! 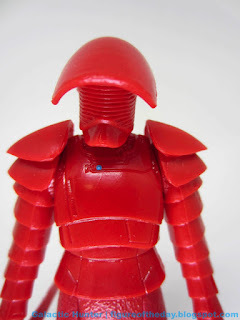 Via the Star Wars Galactic Hunter Figure of the Day Blog: Elite Praetorian Guard (2-Pack, The Last Jedi Line Look). He's gold! Read the whole review. 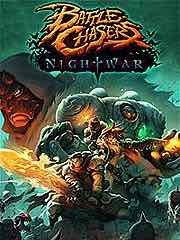 "Battle Chasers: Nightwar is an RPG inspired by the console genre-greats, featuring deep dungeon diving, turn-based combat presented in classic JRPG format, and a rich story driven by exploration of the world. 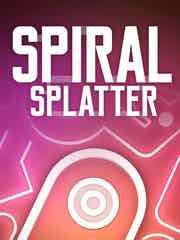 Traditional turn-based combat with a unique overcharge mana system and incredible Battle Bursts. 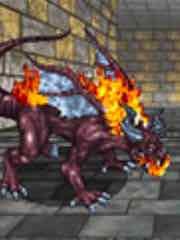 Explore an overworld peppered with hidden dungeons, rare bosses and randomly appearing friends and foes. 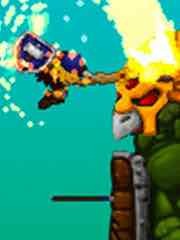 The best-selling comic book Battle Chasers was first released in the late 90s and quickly generated a passionate cult following." Also available: N++, INVERSUS Deluxe, Pankapu, Dragon's Dogma: Dark Arisen, Marble Void, Mystik Belle, Cuphead, theHunter: Call Of The Wild, and Batman: The Enemy Within � Episode 2. Hey, It's Friday the 6th! A classic! The Hasbro Transformers Sludge is a toy I've had for over three decades - and a new one is coming in 2018, finally. So read on, and come back next week for more! Thursday was surprising. 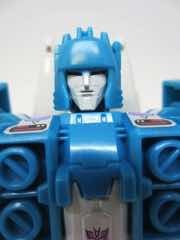 HasbroToyShop posted Transformers Titans Return Grotusque 3-figure Pack and it sold out rather quickly at $24.99. We were told Toys R Us may have more shortly. 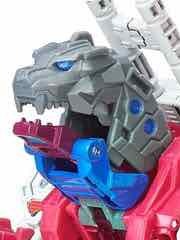 TFormers and other sites posted news from New York Comic Con showcasing the Terrorcons in color, the combined Volcanicus Dinobot team, Rodimus Unicronus, as well as other new small toys - and a Predaking tease. 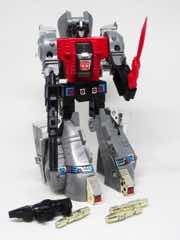 Start saving, kids, because The Power of the Primes should launch in just a couple of months. This week's 3DS offerings: Layton's Mystery Journey: Katrielle and the Millionaires' Conspiracy, Symphony of Eternity, and Mario & Luigi: Superstar Saga + Bowser's Minions. 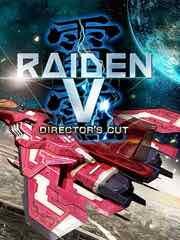 This week's batch of titles on the eShop: Touhou Kobuto V: Burst Battle, Tiny Barbarian DX, Stardew Valley, Axiom Verge, Oxenfree, Earth Atlantis, Tumblestone, Ninja Shodown, Volgarr the Viking, and Metal Slug X.
HasCon, or not HasCon? 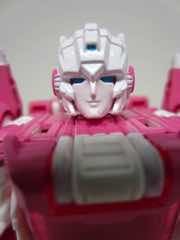 The Hasbro Transformers Generations Titans Return Arcee debuted a few weeks ago and it's pretty great. So read on, and come back tomorrow for more! A shared exclusive! 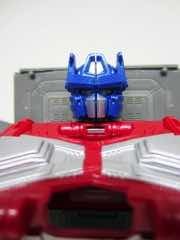 The Hasbro Transformers Optimus Prime Converting Power Bank debuted at HasCon, and it's a lot of fun. So read on, and come back tomorrow for more! 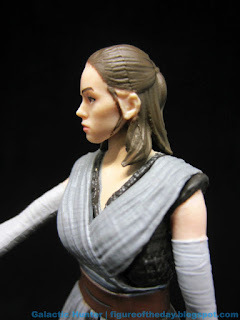 Via the Star Wars Galactic Hunter Figure of the Day Blog: Rey (2-Pack, The Last Jedi Line Look) . This is slightly different than the single version, with different voice clips, a slightly different head, and accessories that are tweaked a bit	. Read the whole review. 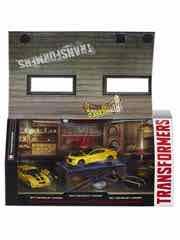 I just found out that Transformers Bumblebee Evolution 3-Pack (Amazon Exclusive) and it's $59.99. 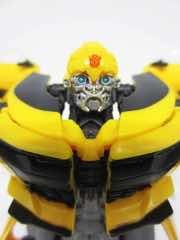 Bumblebee and the Hive bring you 3 figures that you may have with minimal changes. The packaging is stunning, and at press time it's in stock. 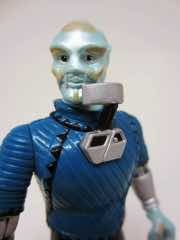 Via the Outer Space Men news blog: More Cosmic Radiation Outer Space Men Coming - Inferno This Week! Carded samples will be sold in addition to the bagged one, and pictures on the Instagram also confirmed Xodiac is coming in glow too! Patriotic - and evil? 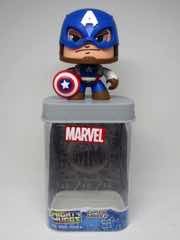 The Playmobil "Fi?ures" Figures Captain America is a padded, armored monster. So read on, and come back tomorrow for more! 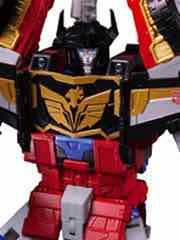 Via BWTF.com: Toy News: Official images and listings for LG-EX Grand Maximus & Greatshot, or "You don't want that $400, do you?" Greatshot is a Sixshot retool with a winged rhino mold. Really. The robot looks vastly different and it's beautiful, also $80ish. 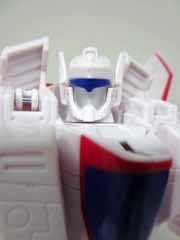 Grand Maximus is a decked out Fort Max redeco with the sword and even a Pretender shell. Maybe. This is unclear. It'll be closer to $240. Factor in shipping and import fees, and well, it's gonna be pricey if you go for these - neither are known to be planned for the USA. 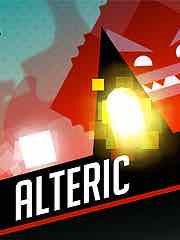 New to the Playstation 4 this week: Alteric, Always Sometimes Monsters, Cyberdimension Neptunia: 4 Goddesses Online, Echo, The Evil Within 2, Fort Defense, Friday the 13th: The Game, The Invisible Hours, Radial-G: Racing Revolved, Raid: World War II, Raiden V: Director's Cut, Raw Data VR, Revolve, Stereo Aereo, White Noise 2, Middle-earth: Shadow of War, Touhou Kobuto V: Burst Battle, and Miko Gakkou Monogatari: Kaede Episode. New to the PSP Vita this week: Alteric, Bad Apple Wars, Touhou Kobuto V: Burst Battle, Squareboy vs. Bullies: Arena Edition, Son of Scoregasm, and Semispheres. Monkey! 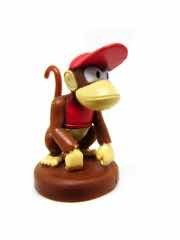 The Hasbro Nintendo Diddy Kong Monopoly Gamer Power Pack is ready to go ape, or it would, but it's a monkey and those are different things. So read on, and come back tomorrow for more! 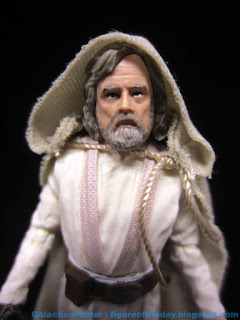 Via the Star Wars Galactic Hunter Figure of the Day Blog: Luke Skywalker (Jedi Master, The Black Series, The Last Jedi) . He's hard to find! Read the whole review. 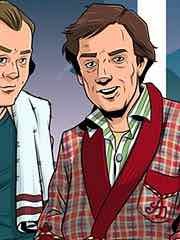 "Across six episodes, Simon Jones will reprise his role as the main protagonist, the quintessentially English Arthur Dent, as he continues to travel through space and time following the destruction of Earth. Starring alongside Simon will be members of the classic radio, television and stage casts, including Geoff McGivern as Ford Prefect, Mark Wing-Davey as Zaphod Beeblebrox and Sandra Dickinson as Trillian, as well as special guest stars including Jane Horrocks as Fenchurch. 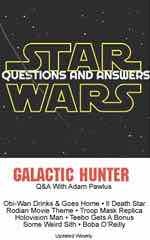 Following in the footsteps of the late Peter Jones and William Franklyn, Douglas Adams' friend, co-author and former flatmate John Lloyd will step into the the voice of The Book." Via many: The Mummy Demastered takes the word �Metroidvania' one step further. 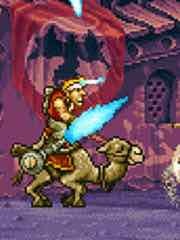 WayForward is talking up their adaptation of this year's big shared universe flop, The Mummy, which actually looks awesome. The 2D not-quite-Turrican seems to share a villain and colors with the movie, and little else. With big bugs and monsters, it seems to have a lot in common with the wackier 8-bit and 16-bit adaptations of games in the NES, Super NES, and Genesis libraries - except this time, it might actually be really fantastic. 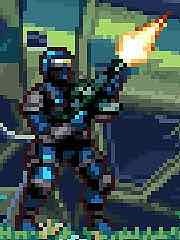 WayForward gave us Contra 4 on the Nintendo DS, plus a lot of other really good retro-ish games. 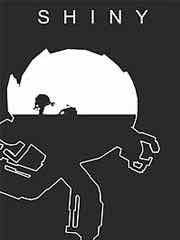 "Left to fend for himself after mankind abandoned the doomed planet Aurora, robot Kramer 227 must find a way to harvest energy and rescue his robotic friends before Aurora crashes into its sun. In his journey, Kramer will probe the planet itself and overcome challenging obstacles, all while trying to conserve his limited life energy to power himself and his friends on their way to safety. 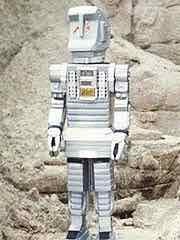 Kramer will gather and share energy with his fellow robots, helping them escape dire situations and predicaments. He will have to jump and explore every platform in every corner of the 20 extensive levels to find all of his friends. Energy is running low on Aurora, so Kramer will have to collect batteries or use generators to recharge, as every action drains his power. 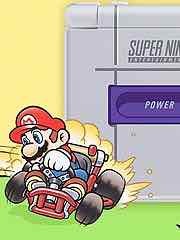 Various power-ups collected along the way, such as jetpacks, energy spheres and temperature regulators, can help him on this crucial journey. Shiny is about saving lives, so it contains no blood or violence." Also available: ACA NEOGEO METAL SLUG X, ARK: Survival Evolved Explorer's Edition, JYDGE, Iron Wings, Bulb Boy, Ninja Shodown, The Culling, Zombie Party, and Rush: A Disney Pixar Adventure. Hey, It's Friday the 13th! Get tanked! Er, tanks. 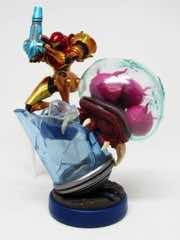 The Nintendo Metroid Samus Aran and Metroid Amiibo unlock some handy reserve items as well as identify Metroids on the map. So read on, and come back next week for more! This week's 3DS offerings: Little Adventure on the Prairie and Etrian Odyssey V: Beyond the Myth. This week's batch of titles on the eShop: Volgarr the Viking. The virtual console has added the games MOTOROADER, Legend of Hero Tonma, and Digital Champ: Battle Boxing from the TurboGrafx-16. 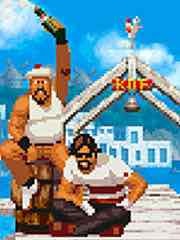 This week's batch of titles on the eShop: The King of Fighters '95, Wulverblade, The Flame in the Flood, Yono and the Celestial Elephants, Rogue Trooper Redux, Unbox: Newbie's Adventure, Don't Knock Twice, Neon Chrome, Putty Pals, Squareboy vs Bullies: Arena Edition, and 88 Heroes: 98 Heroes Edition. Good little pooch? 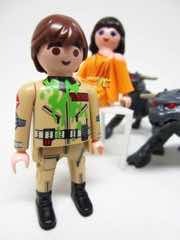 The Playmobil Ghostbusters 9223 Venkman and Terror Dogs also includes Zuul, but she's not named on the box. So read on, and come back tomorrow for more! He's clear(ed out of toy aisles a long time ago)! The Takara-Tomy Beast Saga Mantaray Burst Action Figure can shoot dice out of his belly and take up place on your beast toy shelves. So read on, and come back tomorrow for more! 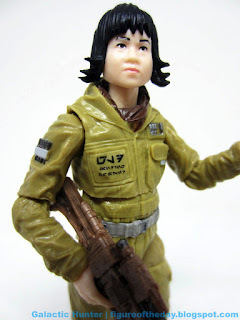 Via the Star Wars Galactic Hunter Figure of the Day Blog: Resistance Tech Rose (The Black Series, The Last Jedi). She's supposedly at Walmart if you can find her. Read the whole review. The makers of the very expensive, $450 Analogue NT have announced the much-cheaper Super NT, a 1080p Super NES clone of seemingly high quality. Unlike the Super NES Classic you can't find that has signs in every store announcing its non-availability, this includes no games for the price. If you have a pile of cartridges, this may be a viable option. The good news is that it's much cheaper than their NES - the Super NT is $189.99. The bad news, no controller is included - but there are legacy ports to use your old, working controllers. Provided you didn't smash them to bits in the late 1990s. Is it worth the asking price? Maybe, maybe not. Incentivized! The Diamond Select Battle Beasts Minimates Stealth Vorin was free when you ordered a bunch of issue #1 of the comic book 5 years ago. So read on, and come back tomorrow for more! New to the Playstation 4 this week: Abyss: The Wraiths of Eden, Bokosuka Wars II, Chaos;Child, The Jackbox Party Pack 4, Megaton Rainfall, No Heroes Allowed! VR, Real Farm, Realms of Arkania: Blade of Destiny, Rogue Trooper Redux, South Park: The Fractured But Whole, WWE 2K18, and Spiral Splatter. 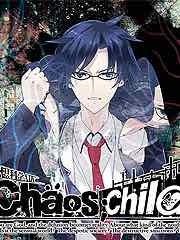 New to the PSP Vita this week: Chaos;Child and Spiral Splatter. New, not so improved! The Hasbro Transformers The Last Knight Premier Edition Bumblebee is finally here, and I don't like it. Maybe you will. So read on, and come back tomorrow for more! 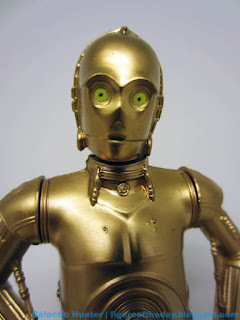 Via the Star Wars Galactic Hunter Figure of the Day Blog: C-3PO (6-Inch Value Figure, The Last Jedi Line Look). He's gold! Read the whole review. 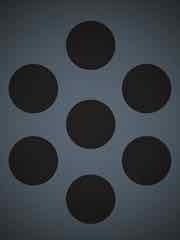 "At last, the Dungeon Lord has successfully united the forces of evil and established his dark empire. Time for the next step in his most diabolical quest: expansion! Through enticing the dark elf priestess Thalya from the fluffy clutches of the surface world to become his chief lieutenant, the Dungeon Lord has found a way to direct his campaign of conquest from the confines of his underground lair. With Thalya on the front line, and the united forces of evil to support her, players will have to use every trick in the book to best those do-gooders of the overworld, once and for all! Unleash your dark side by creating a unique underground dungeon from a huge array of rooms, traps and structures. Raise the most terrifying army the world has ever seen, by choosing from despicable creatures such as orcs, succubae, zombies and much, much more. Then, once you have built your forces, emerge from the darkness and guide your army to the light of the overworld, where you will corrupt the land and dispatch anything even vaguely heroic, cute or unicorn-shaped. And in a first for the Dungeons series, experience randomly generated levels, so that no two sessions are alike - never-ending fun for any evil conqueror!" Also available: The Minecraft: Story Mode Bundle, South Park: The Fractured but Whole, and Rogue Trooper. Hey, It's Friday the 20th! A classic! 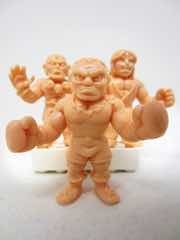 The Super7 Street Fighter II M.U.S.C.L.E. Set B brings you Balrog, Ken, and Dhalsim. So read on, and come back next week for more! 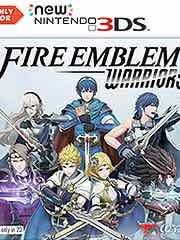 This week's 3DS offerings: Fire Emblem Warriors. The store for New 3DS has GALAXY BLASTER CODE RED. 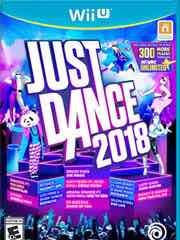 This week's batch of titles on the eShop: Just Dance 2018. This week's batch of titles on the eShop: Spelunker Party!, This is the Police, The Mummy Demastered, The Jackbox Party Pack 4, The Count Lucanor, Robo Army, Revenant Saga, Super Ping Pong Trick Shot, Elliot Quest, Knight Terrors, Syberia, Party Golf, and JYDGE. Full retail downloads include Fire Emblem Warriors and Just Dance 2018. New, sort of! 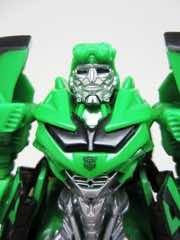 The Hasbro Transformers The Last Knight Premier Edition Crosshairs is tough to find, but green. These things are unrelated. So read on, and come back tomorrow for more! 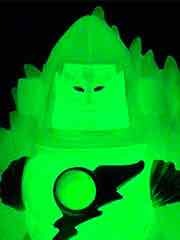 Via the Glyos News Dump: More Cosmic Radiation Outer Space Men Coming - Inferno This Week! Multiple new factions were shown - more as we have it! Not Mendon! 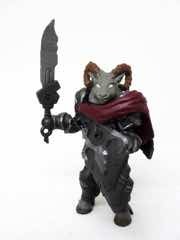 The Playmates Star Trek: The Next Generation Mordock the Benzite Action Figure may come from the same Geosphere, but he's someone else. I bet they all look alike to you. So read on, and come back tomorrow for more! 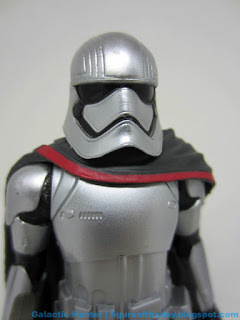 Via the Star Wars Galactic Hunter Figure of the Day Blog: Captain Phasma (6-Inch Value Figure, The Last Jedi Line Look). This is a weird one, because she's about a head shorter than the The Black Series figure. Read the whole review. Amazon listed a pretty gorgeous Nintendo New 3DS XL - Super NES Edition with a Super Mario Kart download - it's $199.99. By comparison, the folding New! 2DS is about $150, and a classic 2DS with a different game download included is about $80. I'm not saying don't buy the new one, because you cannot deny it is most gorgeous. If they threw in all the games on the Super NES Classic, I'd probably bite. 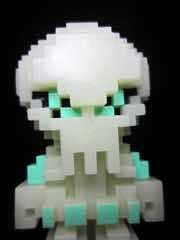 New Sofubi Space Dolphin from Max Toy Co. 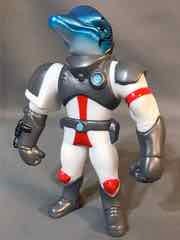 I saw and was quite taken with the Galaxy Patrol Dolphin version painted vinyl figure from Max Toy Co. It's $46.00, and is coming soon. And it looks great. An early sample! The Hasbro Marvel Mighty Muggs Captain America was sent to us by Hasbro's PR people, so naturally I'm a little excited to be playing with it early. So read on, and come back tomorrow for more! Via many: Analogue's Super Nt comes with two SNES games, including a 'Director's Cut', the other game being the standard version of Super Turrican. 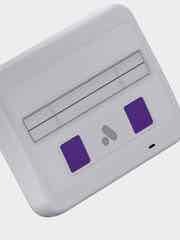 The Super NT is the fancy-pants high-end HDMI Super NES clone coming early next year, potentially a good substitute for the Nintendo mini console if you a) have cartridges still and b) can't find the new mini console. 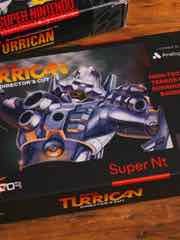 Why is this Turrican thing interesting, though? One, you get a fake box (but no cartridge) for the built-in games. Two, it was developed for Nintendo's Virtual Console service - but Nintendo rejected it on account of not being a legitimate "vintage" game, which was a requirement at the time. Their loss! 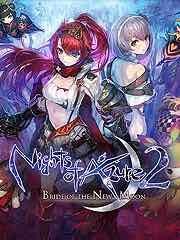 New to the Playstation 4 this week: Aer: Memories of Old, Assassin's Creed Origins, Deer Hunter Reloaded, Fishing Master, Fort Defense North Menace, Hidden Agenda, The Inner World: The Last Wind Monk, Just Dance 2018, Knowledge is Power, Little Nightmares Complete Edition, Mahjong Royal Towers, The Mummy Demastered, Nightmare Boy, Nights of Azure 2: Bride of the New Moon, Numantia, Rapala Fishing Pro Series, Rugby 18, Singstar Celebration, Slayaway Camp: The Butcher's Recut, Stunt Kite Masters, That's You!, We Sing Pop, Wolfenstein II: The New Colossus, and Yomawari: Midnight Shadows. 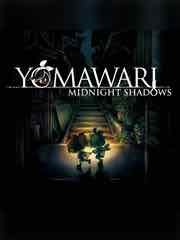 New to the PSP Vita this week: Yomawari: Midnight Shadows. Nice! The Hasbro Transformers Generations Cyber Battalion Jetfire is decent and, if you can find it, probably the cheapest (non-mini) G1 Jetfire toy to be sold in the USA. So read on, and come back tomorrow for more! 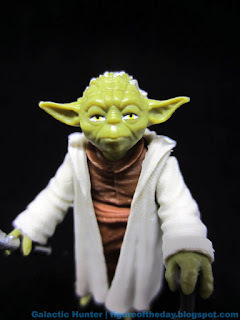 Via the Star Wars Galactic Hunter Figure of the Day Blog: Star Wars Figure of the Day: Day 2,420: Yoda (The Last Jedi Line Look). He's hard to find! Read the whole review. 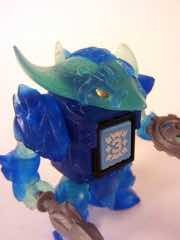 Via the Glyos News Dump: UPDATED - Sunday Night Glyos - New Drop on October 29. It was Thursday, and now it's Sunday. So you're free tonight.
" 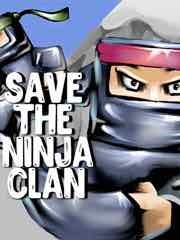 A powerful ancient evil has arisen, and the war to save humanity has begun! 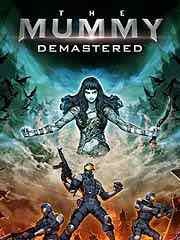 The Mummy Demastered throws you into a 16-bit-inspired battle against the undead in a 2D, nonlinear, action-packed adventure. As an elite agent in the monster-hunting Prodigium organization, you must use a variety of weapons, upgrades, and magical artifacts to defend mankind against the supernatural hordes of Princess Ahmanet. Your Prodigium teammates are already on the scene, but HQ lost contact with them hours ago; only by exploring tombs, forests, abandoned tunnels, and the cursed streets of London will you discover the fate of your allies. 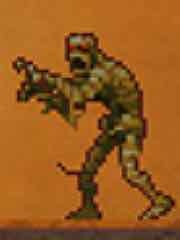 But beware - Ahmanet commands legions of zombies, insects, plague-ridden vermin, and worse... and if you're not careful, you'll be the next soul in Ahmanet's thrall." 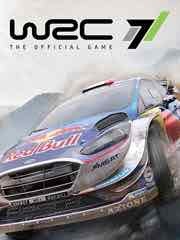 Also available: RUGBY 18 Day One Edition, Just Dance 2018, The Inner World � The Last Wind Monk, Rapala Fishing: Pro Series, We Sing Pop, Deer Hunter: Reloaded, Van Helsing: Double Pack, Real Farm, and ACA NEOGEO ROBO ARMY. Hey, It's Friday the 27th! 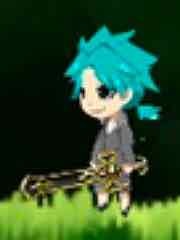 It looks like Robin, but not! 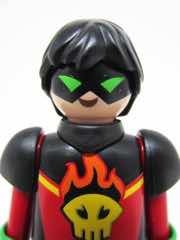 Playmobil "Fi?ures" Figures Flaming Skull looks like he should fight Batman - there's no Playmobil Batman. So read on, and come back next week for more! 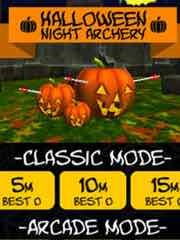 This week's 3DS offerings: Worcle Worlds, Halloween Night Archery, and Creeping Terror. 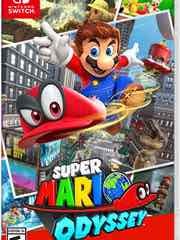 This week's batch of titles on the eShop: Super Mario Odyssey, Nights of Azure 2: Bride of the New Moon, Monopoly, Cartoon Network: Battle Crashers, Monster Jam: Crush It!, Poi: Explorer Edition, Splasher, Mutation Nation, Zombie Gold Rush, King Oddball, and Time Recoil. More Ghosts for Monopoly! 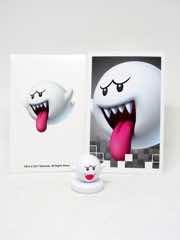 The Hasbro Nintendo Boo Monopoly Gamer Power Pack is sold separately, so you can just get one for your desk. So read on, and come back tomorrow for more! Happy Halloween! 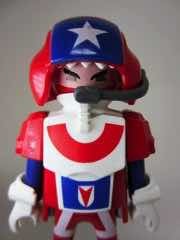 The Jakks Pacific S.L.U.G. 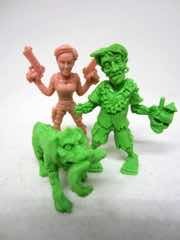 Zombies Gangrene Gene, Ferocious Frankie, Johnson Minifigures 3-Pack are a wonderful line of mini-figures that ended too soon. So read on, and come back tomorrow for more! 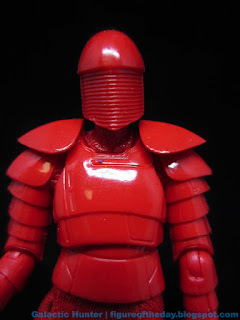 Via the Star Wars Galactic Hunter Figure of the Day Blog: Elite Praetorian Guard (The Black Series). It's a Walmart exclusive! Read the whole review. While not music, this is pretty close. RadioTimes says Jim Broadbent, Lenny Henry and Ed Byrne cast in new The Hitchhiker�s Guide to the Galaxy radio series. That's a pretty big deal. Marvin's voice has almost always (or has always) been Stephen Moore, who has retired and apparently won't do it again. A pity.